Yarn is made from traditional long, stapled, tightly twisted virgin cotton yarn. 2-ply loop-end cotton yarn construction prevents fraying and raveling. Slip-on slot pocket; easiest and fastest method to secure dust mop to frame. Loop-end yarn makes laundering easy; quick-dry synthetic backing. 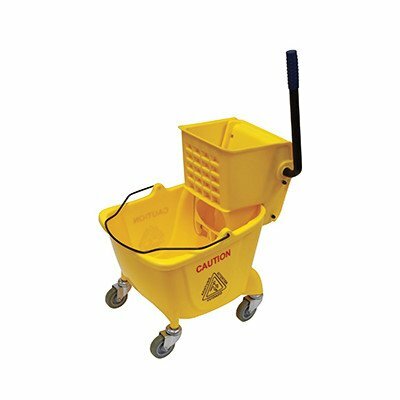 Fits any standard 5" dust mop frame.